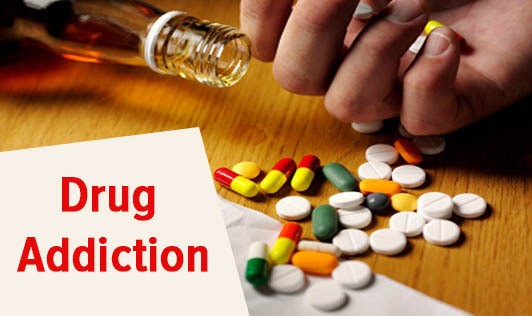 Drug addiction is the dependence on an illegal drug or medication. People experiment with drugs for different reasons; some may first try out of curiosity or to ease another problem such as stress and anxiety. This can cause long term consequences, including problems with mental, physical, relationships, law and employment. Drug addiction is a complex disorder; repeated use can alter the way one's brain looks and functions. Changes in a person's brain can interfere with his or her ability to think clearly, control behaviour and feel normal without drugs. Recognizing that you have a problem is the first step on the path to recovery, one that takes great strength and courage. The sooner you seek help, the greater your chances are for a long-term recovery!